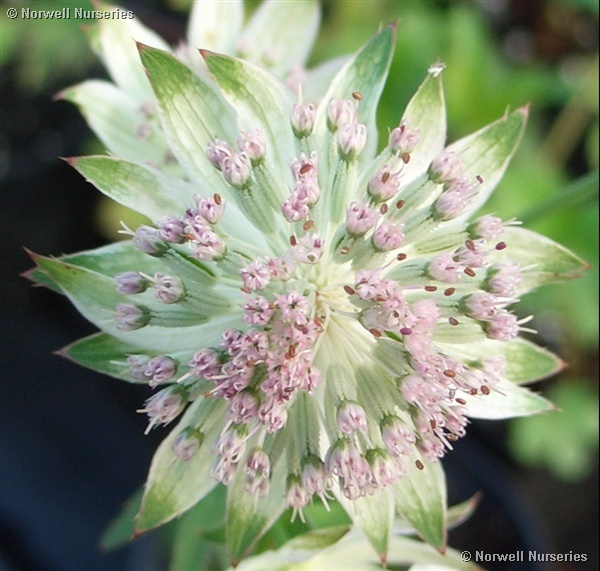 Astrantia 'Buckland' The named varieties of Astrantia are rightly very popular at the moment. This new, large flowered var. has beautiful dusty pink flowers set in a silver and green cup of bracts. Delectable! (long flowered: May- Sept) good on clay.